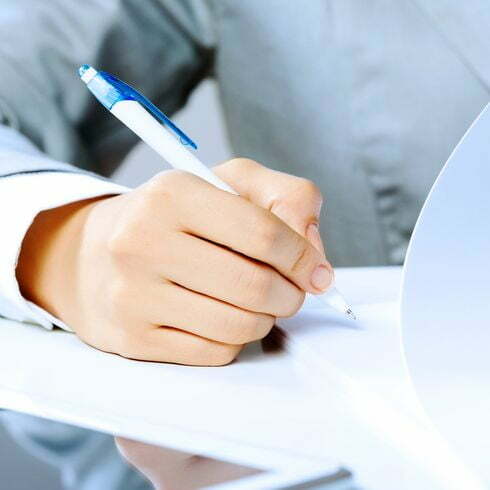 We can provide a company secretary service for any UK registered company. Our services include filing the Companies House Confirmation Statement CS01 and offering administrative support and advice as required during the 12 month service. Do you need a company secretary? Simply choose if you want a basic secretary service with ‘pay as you go’ advice and services or if you prefer a professional service. If your company was formed on or after 6 April 2008 then under the Companies Act 2006 it is no longer a legal requirement to have a secretary appointed. If you are registering a new company then there is no requirement to appoint a secretary at the time of incorporation. All you need is one director to be appointed. The responsibilities of the company secretary will then automatically be passed to the sole company director. Many companies are now registered with just one single person as the sole director and sole shareholder. Even if you have two or three directors appointed you do not need to make one a company secretary. If your company was formed before 6 April 2008 then you will need to read your Articles of Association. Prior to this date it was a legal requirement to have a company secretary appointed. It is likely that your company documents refer directly to the company secretary. If your company was formed by SFS or using www.simpleformations.com prior to 6 April 2008, then your Articles of Association will clearly mention the responsibilities of the company secretary. If your Articles of Association do not refer to the secretary then you can resign the secretary using form TM02. This form can be filled manually by post or online at Companies House using electronic filing. Why Use Our Secretary Service? Having a company secretary on hand to file documents at Companies House can save you a lot of time. We will file the Confirmation Statement and make any changes to company officers or registered office address. We are on-hand to provide advice to your company!